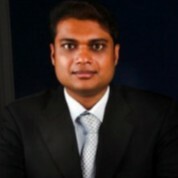 Julian Naidoo is an applied economist with a PhD in Economics (concentrations in econometrics and health economics) as well as a recipient of the Nelson Mandela Economics Scholarship (University of Maryland – US) and the Oliver Tambo Fellowship (University of Cape Town – South Africa) for health managers focusing on health management and economics. Julian has a wealth of experience in working with government and international development partners such as the World Bank, Global Fund, Department of International Development (DFID) and USAID. Dr Julian Naidoo was part of the HIV and AIDS Capacity building projects for World Bank and UNAIDS (ASAP) team covering the following regions: South America, Caribbean, Anglo-phone and Franco-phone Africa, eastern European and Asia. He led the development of innovative costing tools and the alignment to resource allocation (GOALS) and epidemiological forecasting. Dr Naidoo has held several senior positions in government in South Africa, including the Departments’ of Health, Social Development and Treasury/Finance. As the head of Sustainable Resource Management (SRM) at Gauteng Treasury, Julian was responsible for budget management, fiscal policy, economic analysis, public finance, PPPs and intergovernmental resource management. During his tenure at Treasury, Dr Naidoo established innovative public finance models to optimise budget performance and allocative efficiency. Julian’s private sector experience includes providing consulting services to several medium to large corporations in the health sector focusing on health care financing and feasibility studies. Dr Naidoo was the health sector lead Partner/Director for one of the top four international advisory companies. He led a team of multi-disciplined professionals focusing on innovative health care solutions across Africa. Dr Naidoo is currently the Head of the Wits Development Enterprise (WDE) a Syndicate/Division of WHC, which is a wholly owned entity of the University of Witwatersrand. WHC has approximately 3000 staff and manages about 300 large health projects ranging from $5m to $120m dollars per annum. Julian is also the Chief of Party for the Global Fund Regional Grant for TB in the mining sector (TIMS), of which WHC is the Principle Recipient. Dr Naidoo is a strategic technical resource focusing on large projects and business development at WHC. He specialises in Health Service advisory, Monitoring and Evaluation, Financial Services and Business Development. His experience in the health sector includes health care financing, cost-benefit and cost-effectiveness analysis; financial monitoring and efficiency analysis. WDED is currently providing technical assistance to donors on pandemic preparedness and response.